Sightseeing World Heritage " Wat Phra Mahathat Woramahawihan"
Just an hour south of the famous Surat Thani is the charming and unassuming Nakhon Si Thammarat. Ranking among the most ancient cities in Thailand, the former historical and trading hub wins off-the-beaten-path travelers with its stunning 900-year-old temple, quiet beaches with pink dolphins and ever bubbling walking street. Find local-recommended things to do in Nakhon Si Thammarat here. 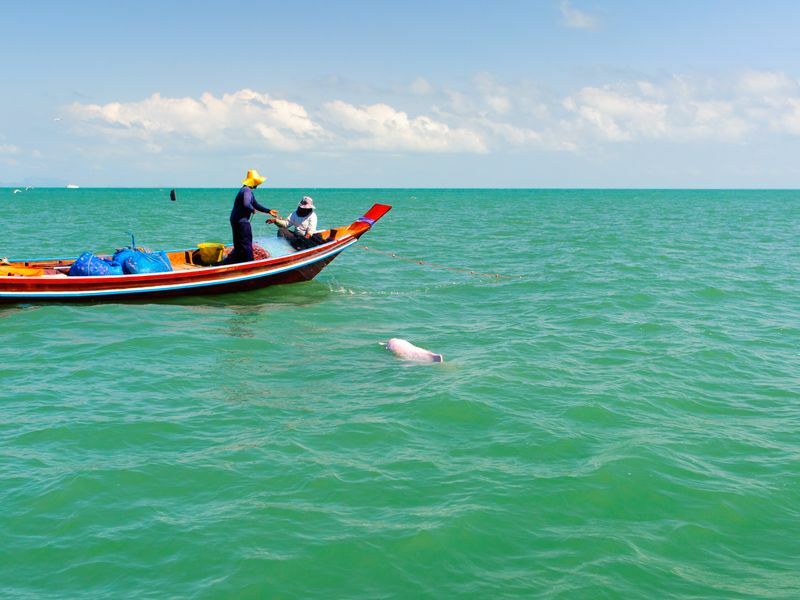 Besides its long stretches of white sandy beaches, Khanom district’s major claim to fame is its friendly pink dolphins that let respectful visitors have an up close and personal time with them out in the vast sea. To see these majestic creatures, rent a long-tail boat at one of the many piers in Khanom. The best time to do this is around 6.30-8.30 a.m., as the chances of dolphins are high and the sun is still quite low. You will also get to see the quirky layers upon layers of folded ‘Pancake Rocks’ along the way. 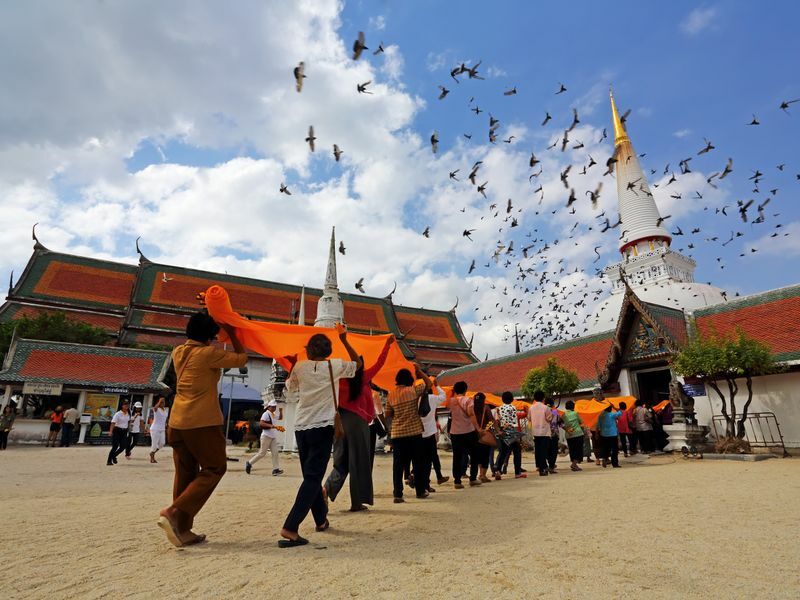 Wat Phra Mahathat has been the spiritual hub of Nakhon Si Thammarat for almost a millennium, ever since the city was independent from the Kingdom of Thailand. The bell-shaped stupa here is characteristic of Theravada Buddhism, the main sect in Thailand and our neighbor countries such as Myanmar. Although the temple is ornate and opulent, it oozes out calmness instead of extravaganza. If you’re looking for a momentary pause from the buzz, a stroll around Wat Phra Mahathat might just be your answer. Every Saturday evening, the whole main road in front of Wat Phra Mahathat is transformed into a lively and bubbling walking street. Local youth music bands, handmade products, and mostly authentic Southern delicacies are the main draws. 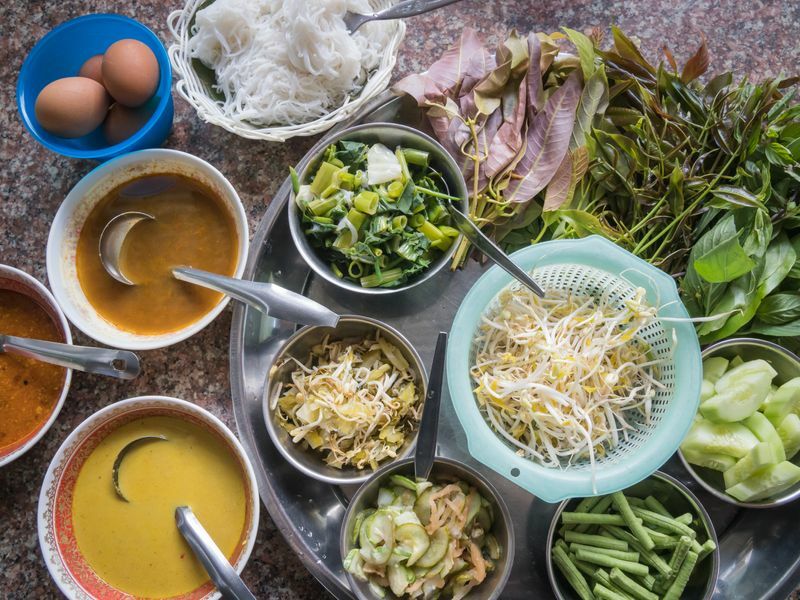 Topping the local must-try list are Khanom Chin (fermented vermicelli) with a plethora of spice-filled curries, and your favorite Roti. The fun part is that you won’t just find a stall of this heavenly dessert, but a number of proper Roti places with a huge rain of fillings and the mouthwatering Muslim tea on the side. 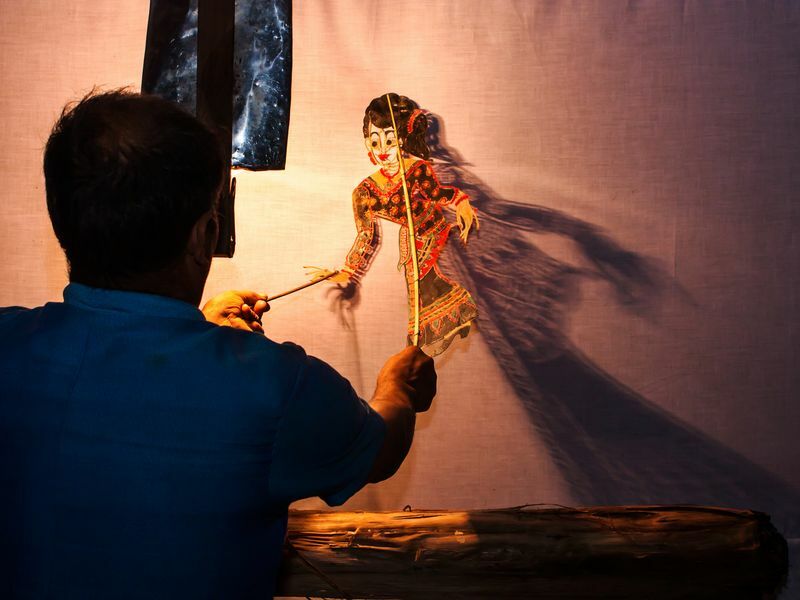 The iconic Java-inspired ‘Nung Talung’ or Shadow Puppet show has been entertaining the Thai southerners for centuries. The ‘shadow man’ works his magic into his little gang of quirky shadow puppets. The story ranges from local anecdote, inside jokes, to virtual political memes. In the old days, the king also attended these shows. Even though the shadow puppet has now lost its luster to most, those who have a deep bond with it make sure the magic lives on at Shadow Puppet Museum. Not exactly what you're looking for? Take a look at our selection of private 1-day tours with locals in other cities in the South of Thailand.